It is fifth versus bottom placed in Group E and both of these teams will be keen to win but equally, they will both be keen to bring this season to a close as soon as they can. With a 4-6 record, Efes are two wins away from the playoffs, so there is plenty to play for, but they have endured a terrible run of form of late. The fact that Efes are looking to grab their first Euroleague home win in two months tells you everything that you need to know. Okay, they have three home games, out of four games in total, left to play this season, but they have still toiled at home. In fact, they managed to lose to Cedevita at home earlier in the campaign in the regular and if they fail again, they will be very close to running out of options and opportunity to progress in the tournament. The two sides have already clashed three times this season and the team from Zagreb are 2-1 up, so the hosts need to level this at 2-2 before the weekend is upon us. 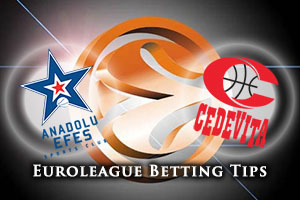 Cedevita knows that if they lose and other results pan out, they will be eliminated from the Top 16 this week. It is very unlikely that Zagreb will stage a revival and make their way through to the playoffs but until it is mathematically impossible, you need to keep on going. One major problem for Zagreb this season is that they give up too many points, an average of 85 points per game, which is the second-poorest record in the Top 16. Even a win may not be enough to stave enough elimination this week, so it is looking rather grim for Zagreb but an away day win would still be very welcome. Even though the hosts have been far from their best this season, they are the biggest favourites of the week in the Top 16. 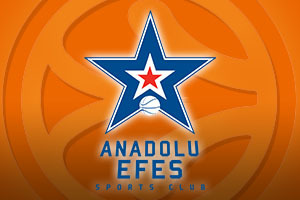 You should think that Efes have it in them to win this game convincingly, so look to take Anadolu Efes Istanbul at -14.5, at odds of 1.90. For the Over/Under market, look to go OVER 158.5, at odds of 1.90. Bet Now!